There are numerous uses for wood ash around the homestead. Throwing away this useful material when cleaning out the wood burner or fireplace is almost inexcusably wasteful. Wood ash is the powdery residue that is left in the wood burner collection tray or beneath the firewood grate after wood is burnt. It has been used a potash to enhance the soil by both farmers and gardeners for centuries. Pot ash was once so popular in England folks were buying land and cutting down trees specifically for the purpose of collecting wood ash. “Pot Ash Fever,” it during the 18th Century after farmers in the new world discovered how beneficial the residue from burnt logs could be in the garden. Just 20 years after the birth of America, the first patent in the newly created country was signed. United States Patent $1 was issued for a fertilizer creation process centered around wood ash. Pot Ash Fever lasted until a simpler and less expensive manner of generating both lime and potassium was invented, years later. Compost Pile – Pour cooled wood ash directly onto the compost pile and allow it to go to work for you by increasing the overall potassium content of the dirt. Wood ash contains trace minerals that help to churn out a nutrient-rich soil for starting seedlings and cultivating container, vertical gardening, and greenhouse crops. You can even sprinkle a handful or two of wood ash composting soil onto struggling plants in a traditional garden to give them a helpful nutrient boost. Before putting the garden to bed for the year in the late fall, treat the ground with wood ash to help harden it against a loss of vital nutrients over the long winter months. Wood ash also helps to strengthen crops that thrive on calcium. Mix together one-fourth of a cup of wood ash in with a 5-pound bucket of soil and use it when sowing peas, grapes, tomatoes, garlic, spinach, green beans, and avocados. Toothpaste – Some varieties of wood create an ash that serves as a natural whitener in homemade toothpaste. The toothpaste, well actually, most recipes that use wood ash to whiten teeth are technically a tooth powder, typically has a very pleasant taste. Ash from some trees are not suitable for homemade tooth powder, conifer trees, in particular, are far too astringent and can actually damage tooth enamel. The potassium hydroxide (lye) present in wood ash can help get rid of plaque while whitening teeth. Daily use of wood ash for an extended period of time has caused tooth enamel damage, regardless of the type of tree that was used as firewood, in some individuals. The ash from soft wood is most often used when creating this type of homemade tooth powder. To make a wood ash tooth powder, simply combines equal parts of the ash with any one or more of the following: baking soda, orange peels, lemon peels, turmeric, cinnamon, anise, cloves, activated charcoal, bentonite clay, xylitol, and calcium carbonate. Pour the ingredients into the blender and hit pulse for about 30 seconds. Dip a dampened toothbrush into the powder and brush your teeth as you would with commercially manufactured toothpaste. Lye Water – Making your own clearning products is cheaper and typically a lot healthier, than buying chemical-laden products at the local big box store. Boil approximately three tablespoons of wood ash in a cup of water and then use a coffee filter to strain the mixture. Lye water is excellent for cleaning silverware, glass, removing rust, and most types of cookware. Lye water is not the same type of material used in the making of lye soap. Some folks even drink a few tablespoons of lye water on occasion to cleanse their intestines. Egg Preservation – Long before their were refrigerators, farmers used wood ash to preserve the longevity of the eggs laid by their hens. To dry pack eggs, mix together equal parts of wood ash, lime, cooked rice, clay, and salt. Roll the egg into the mixture until it is fully and thickly coated – or wrapped. If the egg yolks appear gray or green when you crack them, the egg is no longer good. For the sake of safety, use the soak or sink in a bowl of water test before eating, cooking, or baking with dry-packed eggs. Natural First Aid – Wood ash has long been regarded as a bacteria killer that can also enhance the healing process of wounds and burns. Mix together equal parts lye water and liquid soap and the apply liberally to the wound to cleanse the area. Pest Deterrent – Place some wood ash into a bowl or other open container and put it in areas where mice, rats, cockroaches, and other unwanted household visitors frequent to deter them from entry – or send them running back into the great outdoors where they belong! Odor Remover – Pour one cup of wood ash into a smelly trash can or similar stinky container, spot, or space and allow it to absorb the odor. You can also pour some wood ash into a bowl and place it into the refrigerator to eliminate food odor as well. Livestock Pest Remover – Keep a container of wood ash in the barn and sprinkle it on livestock – and your domestic pets too, to deter lice, ticks, and fleas. If you don’t mind the feel and look of firewood ash in your own hair, sprinkle some on before going outside to do chores or spending time in the woods to ward off ticks on your as well. To enhance the tick and flea repellent power of wood ash, mix it in a two to one part ratio with apple cider vinegar to more thoroughly and deeply penetrate the fur and flesh of your livestock. Little Old Ants – Those annoying little insects might look like they can light and carry just about any dropped picnic morsel, but they cannot pack away wood ash – and they apparently don’t like that! Pour some wood ash anywhere you discover an ant colony and watch the whole tribe of insects suddenly pack up and relocate. Stain Remover – Wood ash can also be mixed in a two to one part ratio with warm water to create a stain removing paste. Gently wipe the paste on the stained on clothing or furniture and allow it to set for approximately five minutes before wiping away the paste. Seed Preservation – Put your heirloom seeds inside a clay pot and cover them with woo ash. You can add more seeds in between layers of wood ash until the clay pot is filled to the top. Fruit and Vegetable Preservation – Farmers in many regions around the world routinely preserve fresh fruits and vegetables by putting them into clay pots or digging a hole, and filling it both the produce and wood ash. When preserving more than one food item in a single pot or hole, a layer of wood ash around all sides of the produce must be present to prevent the food from touching each other, the dirt, or the pot, and rotting. The top of the clay container or hole must be covered with a lid or pieces of wood as tightly as possible to prevent air from getting inside. Hair Treatment – Wash your hair with lye water and then rinse with apple cider vinegar for a natural oil-reducing treatment. Ice Remover – Because wood ash also possesses salt, it can be poured on to frosted windshields and sidewalks to melt ice – or place on the surface in advance to help prevent ice from forming. If you have satellite dishes for internet and cable service, wood ash may also help prevent them from icing-up during a winter storm, as well. Rennet Preservation – This essential ingredient in cheese-making has long been preserve by putting it inside a container (an animal horn was used in ancient times) and covering it completely with wood ash. Mud as used to seal the top of the container, meaning an animal horn, before hanging it from a tree for safe-keeping. This process is believed to keep the rennet good for at least several years. Plant Frost Helper – If the temperatures are predicted to dip to an unseasonably cold degree, sprinkle some wood ash on leaves to prevent frost. Humidity Remover– Place cooled wood ash into a METAL container in any room where the humidity levels are too high and allow the natural substance to draw the moisture from the air. Skunk Smell Remover – If you or your pets get sprayed with a skunk, save your tomato juice for chili and rub some wood ash onto the hair and flesh instead to remove the awful and lingering odor. Fire Extinguisher – Stockpile wood ash to help put out interior or exterior fires. I keep a bucket of ash in my barn and next to all of the hay bales for just that purpose. Slug Infestation – Keep snails and slugs out of your garden by lining the rows between the crops with a relatively thick layer of wood ash. If you have particularly stealthy slug, grind up some eggshells and mix them together with the wood ash. The egg shells hurt the bellies of the slugs and they will meander in another direction as rapidly as feasible to avoid the eggs hells. Aquaponics – To reduce algae and enhance the water used in aquaponics farm operations, pour in 1 tablespoon of wood as for ever 1,000 liters of water. Clothes Storage – Instead of buying moth balls to protect stored clothing and blankets, sprinkle some wood ash on top of, around, and underneath the material. The wood ash won’t stain and can simply be shaken off and the clothing or blankets washed if need be, before wearing or using. What are some of your favorite uses for wood ash around the homestead? 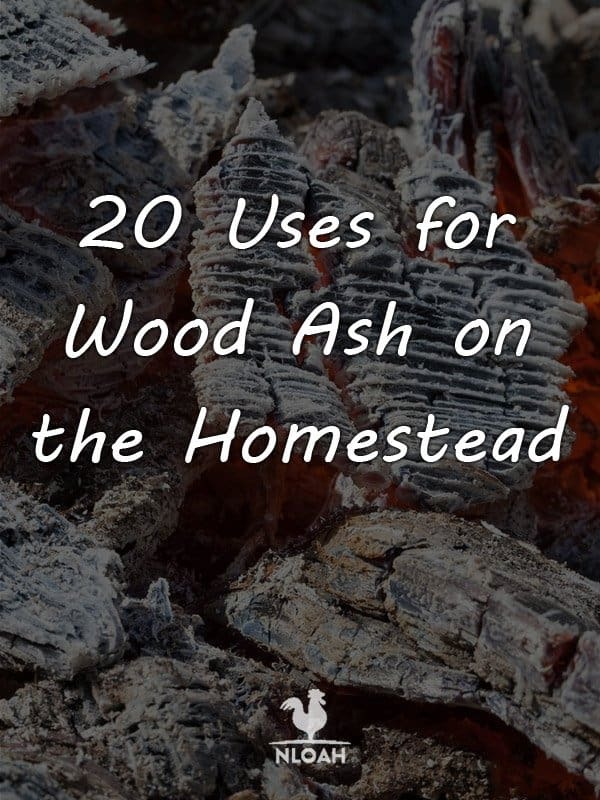 Please leave a note in the comment section to share any possible wood ash uses we missed and let us know how well the items on our list worked on your homestead! Libraries often time carry some good books on the subject. It hasn’t changed much over the years. Google “Brain Tanning” which is the oldest form and you will find lots of resources. When I lived in a state with lots of snow, I would keep a gallon jug of wood ashes in the trunk of my car. If I got stuck or the road was too slippery to drive on, I would sprinkle the ash behind the tires for automatic traction. I’m laying down a short brick path in our woods and I had this idea to use wood ash underneath as a base. Any ideas if that would work? Wondering how to mix it to soak my feet as a detox. Don’t want to burn them as my skin is dry. Bentonite clay from volcanic ash can be used internally and externally and has rich minerals; I assume wood ash is similar. Before putting any amount of wood ash into the garden, have a soil test done by your land grant university. Wood ash is a powerful soil amendment. If you add too much, it could take much longer than you think to return the soil to a normal range. Clear and concise and packed with good information. Thanks! Thank you Petros. How do you use wood ash around your homestead? Please share your homesteading adventures, successes, and failures with our homesteading community! any uses for charcoal ash? No uses for charcoal ash that I know of.It is more acidic and alkaline than wood ash are really does not belong in the compost pile, on your teeth, or in any home remedies for either humans or livestock. It does not make a good plant growth aid either, even for plants that thrive with enhanced alkaline and acidic content because of the chemicals in the lighter fluid used to ignite it. So many products around the farm are useful for more than 1 thing. We end up wasting so much. I like the fact that my bees provide some much value. Exactly! I love finding new uses for things so they do not end up in a trash pile! We just recently started bees on our homestead, several loved ones are allergic, including myself, so a good bit of planning needed to go into the process. Everyone should become more aware of the value of bees and the massive population decline they have been on since 2005. Far too few people understand they pollinate 70 percent of the food we eat and how depend we are on the little pollinators. Thank you for doing your part to help the bees! Please share some photos of your apiary and the goods you make from the production of your hive! Lots of good ones, than you – but I have one more: I was told that wood ash is perfect addition to the chicken dust bath as its tiny particles help with mites and lice infestation. Is that correct? I can’t believe I left that one off the list! Pouring wood ash into a shallow livestock feed tub for my hens to use as a dust bath was the very first way that I learned to re-used wood ash! It definitely helps keeps down mites and lice and reduces molting as well, in my personal experience. We free range all of our livestock – essentially. They have free range of the entire 56 fenced acres – gate at the road and left open usually in other areas. So, my flocks do not need “boredom busters” like keepers who confine their birds to a coop and run. But, if you cannot free range, or don’t love to raise animals that way like I do, wood ash is about the best boredom buster for hens. They love to gather together and bathe and chatter away like a group of ladies gossiping at the beauty shop the entire time! 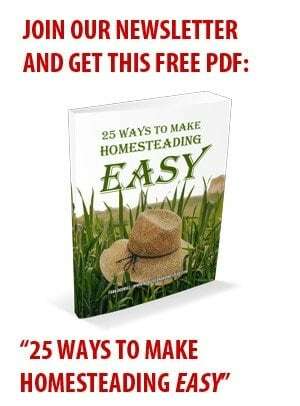 Glad you enjoyed another one of our homesteading articles! I hope you have a printer and a set of color-coordinated binders started to nearly freely get a great homesteading library going! Do you engage in any homesteading activities where you live now? Even if you are in an apartment, we can shoot some ideas to you to help you enhance your skill set as much as possible until you find your dream land and go whole hog with this wonderfully time consuming and dirty, enriching, frustrating, and rewarding self-reliant lifestyle. These are some great ideas!! I don’t have a fire place but some of my neighbors do. Time to go visit them. Thanks for the information. I am glad that you liked the piece. I bet your neighbors would be very grateful to allow you to come rid them of their wood ash! Do you have a wood stove? This time of the year we generate more wood ash than I can make use of. I keep a metal trash can just outside of the back door so we can dump the hot wood ash in it when switching out the collection trays.